When it comes to food, Brighton Court really stands out. We prepare meals that are both nutritious and delicious. 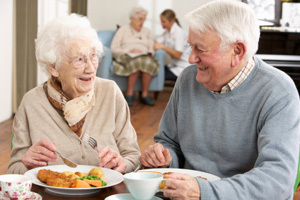 Using the freshest ingredients, dining at Brighton Court raises the standard for dining at senior living communities. Our staff attends to every detail with gracious and courteous service. Our mission is to provide the best quality of life to our residents and those we serve. We strive to treat them, our staff, and the community with the greatest consideration and respect. Copyright © 2019 Brighton Court. All Rights Reserved.